Lehmann Maupin's New York galleries will be closed from Saturday, July 1–Tuesday, July 4. We will reopen on Wednesday, July 5 with summer hours, Monday–Friday, 10 AM–6 PM, through September 5. Our Hong Kong gallery will remain open with regular hours, Tuesday–Friday, 10 AM–7 PM; Saturday, 11 AM-7 PM. 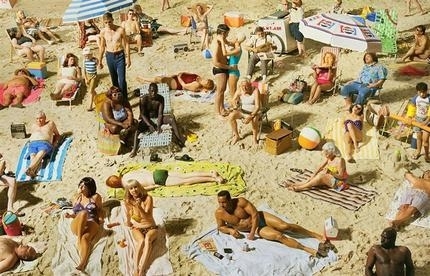 Image: Alex Prager, Crowd #3 (Pelican Beach), 2013, 59.5 x 92.8 inches, 151.1 x 235.7 cm. Courtesy the artist and Lehmann Maupin, New York and Hong Kong.